Gary Lee has worked extensively in the study and preservation of recorded historical documents. On the national level he has assisted Dr. Lydia Fish of Buffalo State College in the archiving of music written and performed by men and women in the Vietnam War. Mr. Lee has also served as recording engineer for the Cultural Center for Social Change in Washington, D.C. Locally, he is active in collecting and documenting the music of Western New York, is president of Border City Records, and proprietor of Exclusive Audio, in Tonawanda, New York. Patti Meyer Lee, MS Ed., has worked as an educator in Western New York over the past twenty years. She is co director of the Buffalo Rhythm and Blues Project and serves as the personal relations coordinator for Border City Records. 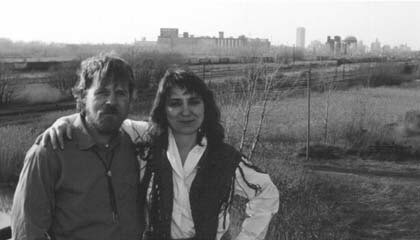 Together Gary and Patti have been active as musicians and collectors on the Buffalo, New York, music scene.